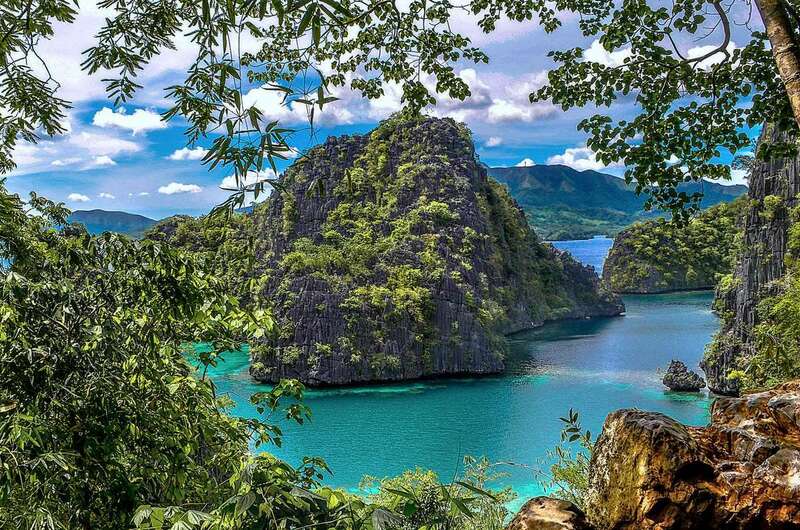 Visit what Coron Tourism tags as the most photographed spot in Coron – the Kayangan Lagoon. 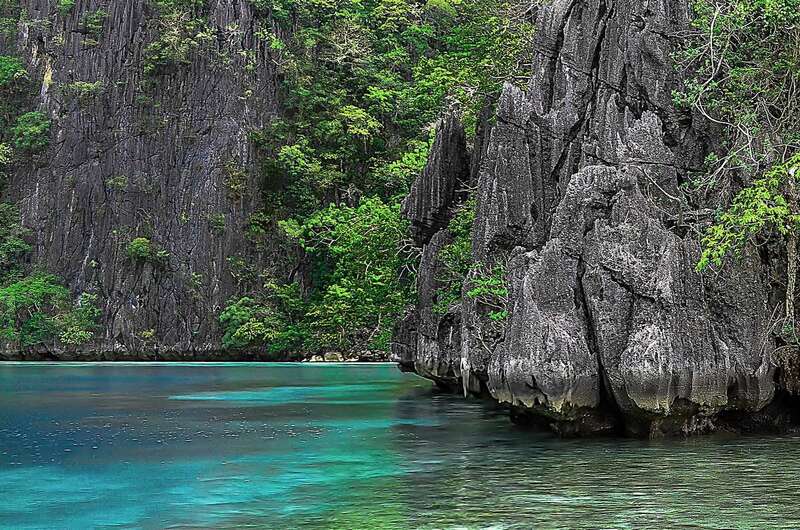 Take a dip in the crystal clear waters of Kayangan Lake with its astonishing underwater rock formations. 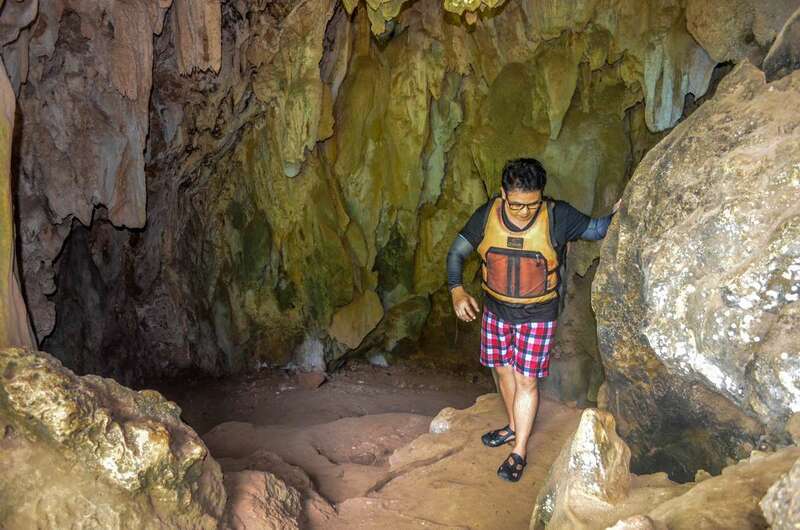 And discover the enchanting Awuyuk Kayangan Cave where you’d have to swim to go through its narrow entrance. 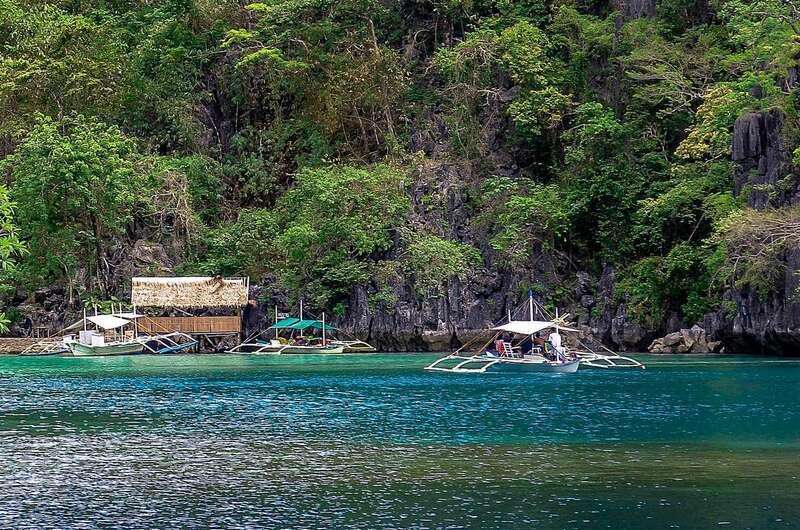 You can do all that during theKayangan Lake Tour. The trip itself to Kayangan by boat from the mainland was already breathtaking. The islets made of limestone of different shapes and sizes were amazing. They’re countless and they’re photogenic. Once you reach the Kayangan docking area, you’ll see houses on stilts along the boardwalk. From there, it’s a short walk before you start climbing the steep stairs. I suggest you stretch first, especially your thigh muscles and calves. Since hiking is involved, visiting time here for tourists is from 8am to 4pm only. When it gets dark, trekking or going up and down the steep steps can become dangerous. There are no lampposts here and if you miss a step, it’s going to be a long and bumpy fall. 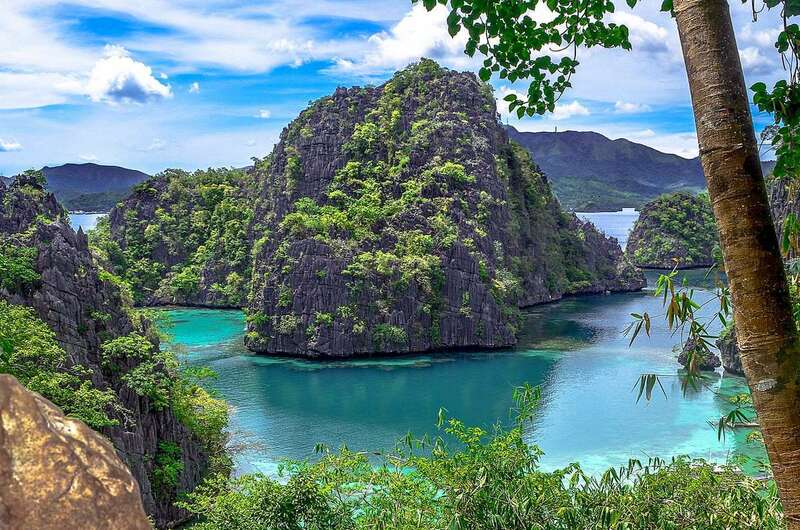 Ms. Corrin Alarcon, Coron Tourism officer, said the climb’s about 75 meters up, and it could take about 15 to 30 minutes. There’s a treat waiting at the summit, which is already halfway going to Kayangan Lake. 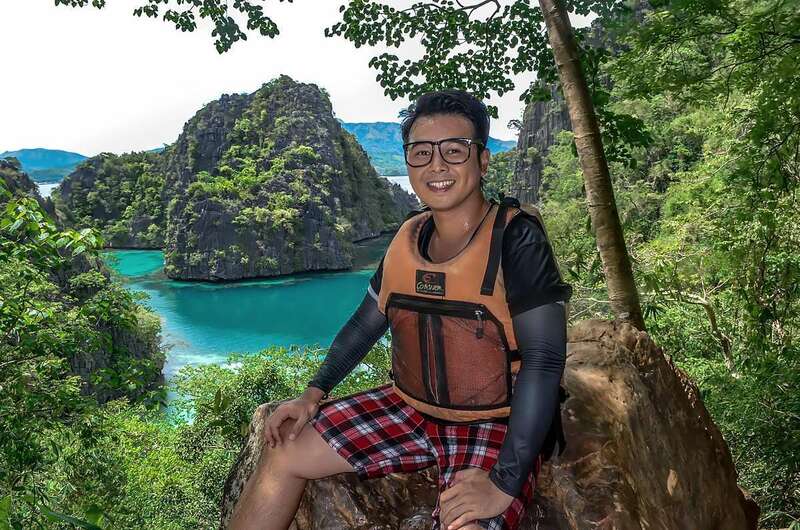 Right in front of the cave is a cliff that’s also the best spot to view the Kayangan Lagoon. 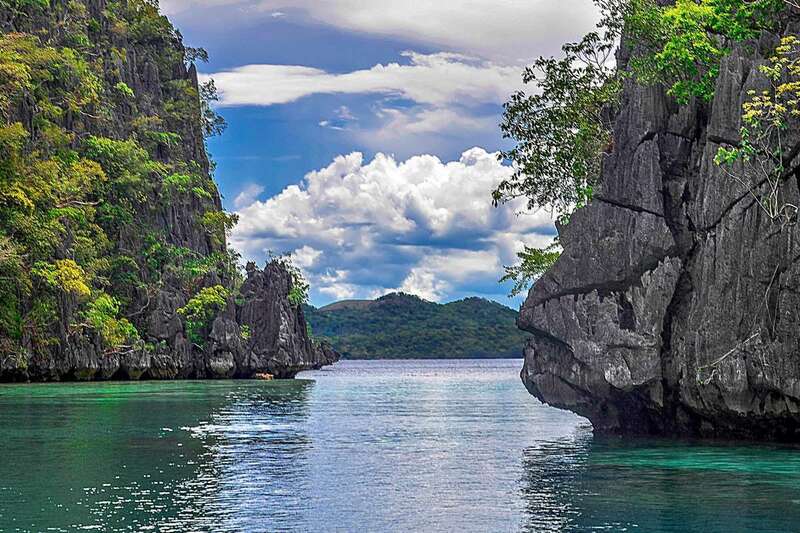 Ms. Alarcon said the Kayangan Lagoon is the most photographed site in Coron. Lagoon photographs are taken from the cliff and are used for postcards and promotional materials widely circulated online. Actually, the Kayangan Lagoon’s where the docking area is. But when I was on the boat, the lagoon didn’t look as spectacular as how it looked from the top view. That’s perspective. Sometimes the beauty comes alive and magnified when you start taking a different perspective, when you step back and appreciate the bigger picture from afar. Aha! Just like life. After spending a few minutes at the peak, it’s time for the descent to the Kayangan Lake. Again, careful with the steps, especially when it’s drizzling because it may get slippery. 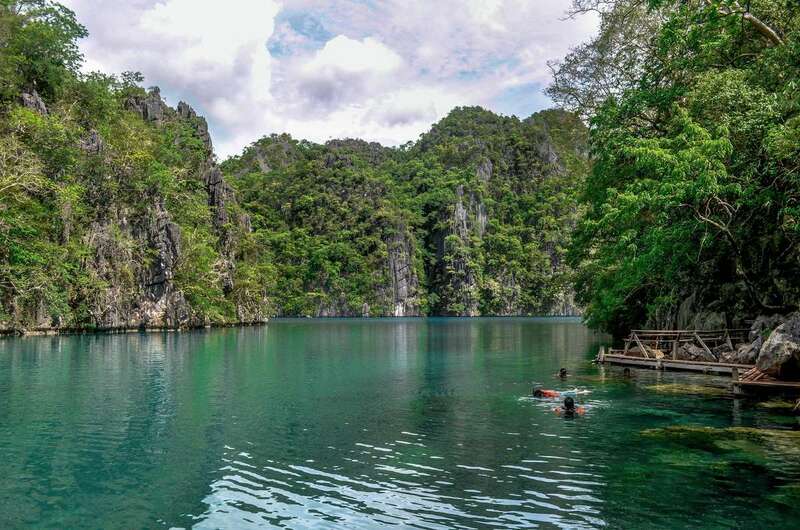 Kayangan Lake is one of the cleanest lakes in the Philippines. The lake has crystal clear water. From the boardwalk, I could see underwater rock formations. A lot of tiny elongated fish populated the lake. Our tour guide calls them needlefish. I wanted to be one with the lake and immediately thought of jumping. But I had to proceed with caution. I had my life vest on. 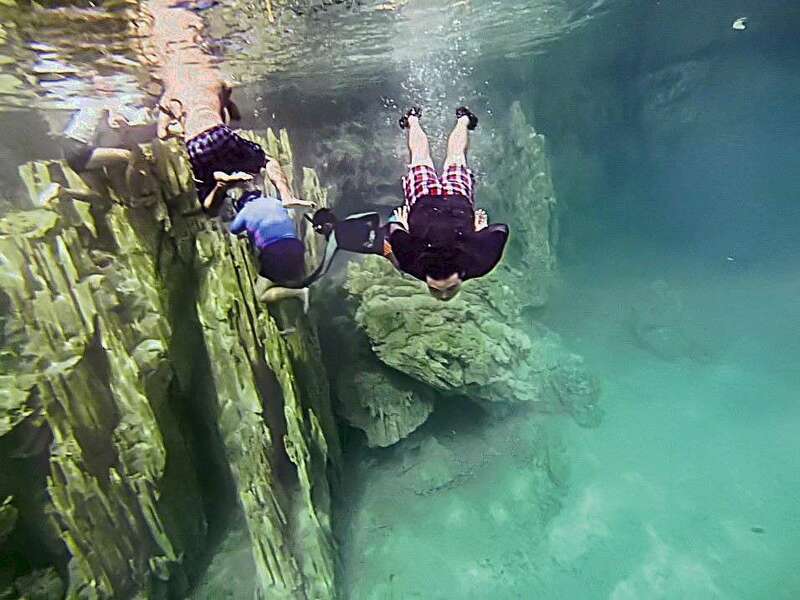 The tour guide advised me to look for a deeper part of the lake before jumping. There are areas where sharp rock formations abound. If you try to take the plunge clumsily on impulse, it might be really painful if you hit the rocks. So, let your adventure be safe. Our guide showed me where it was okay to jump. I did. And the lukewarm water was welcoming. It tasted slightly salty. They say the water here is 70% fresh water and 30% salt water. I had to go deeper. 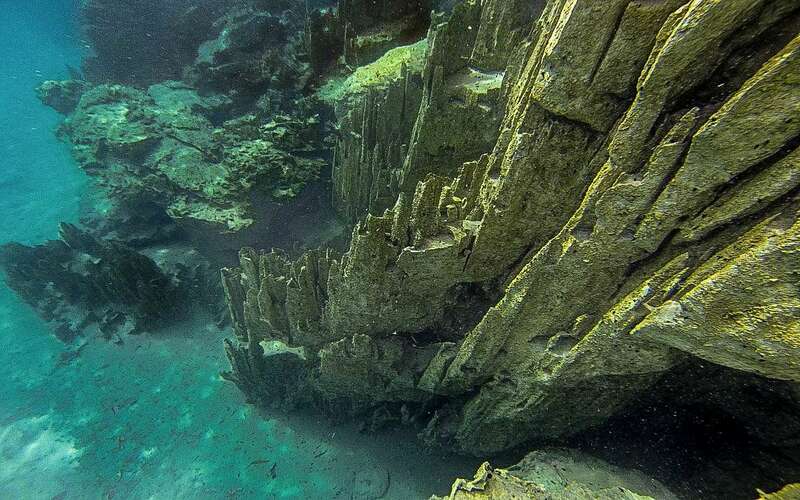 There was just so much more to see underwater. Kayangan lake’s view from below was like a different world on its own. So, I took my life vest off because it kept me afloat and prevented me to examine the depths of the lake. It could’ve been better if I had goggles with me, but the clear water was big help. I held on to a part of the rock formation and used it to push me down, steady myself and enjoy the view under. As if that wasn’t enough, there’s even more. I swam a bit further to this cave still in the lake area. Wow! I was excited. A cave in the lake! Ms. Alarcon, at first, told me it was called the “Cathedral Cave.” Maybe other people have called this that name too. But she said it may also have been called the “Awuyuk Kayangan Cave.” Well, whatever it’s name is, I just want to call it AMAZING! I was surprised to see that there was an actual opening on the limestone wall. 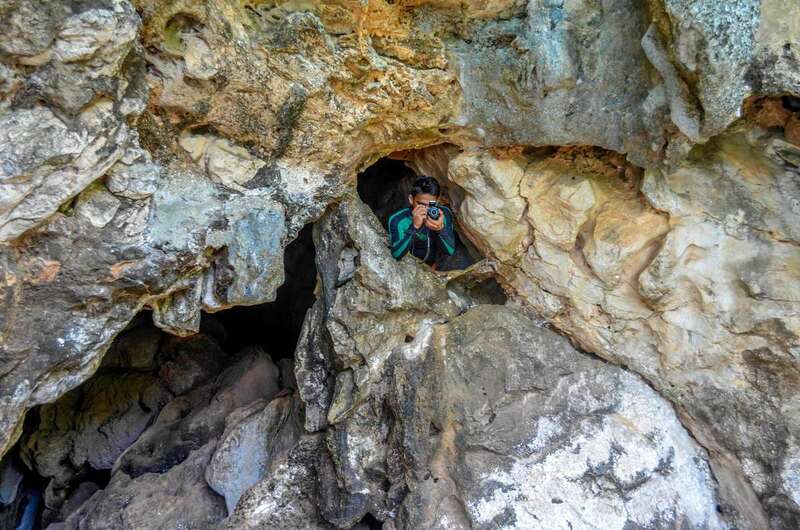 This is the narrow entrance to the small cave. Boats won’t fit, so tourists have to swim. And swim I did. It felt like I was inside a movie. Everything was surreal. 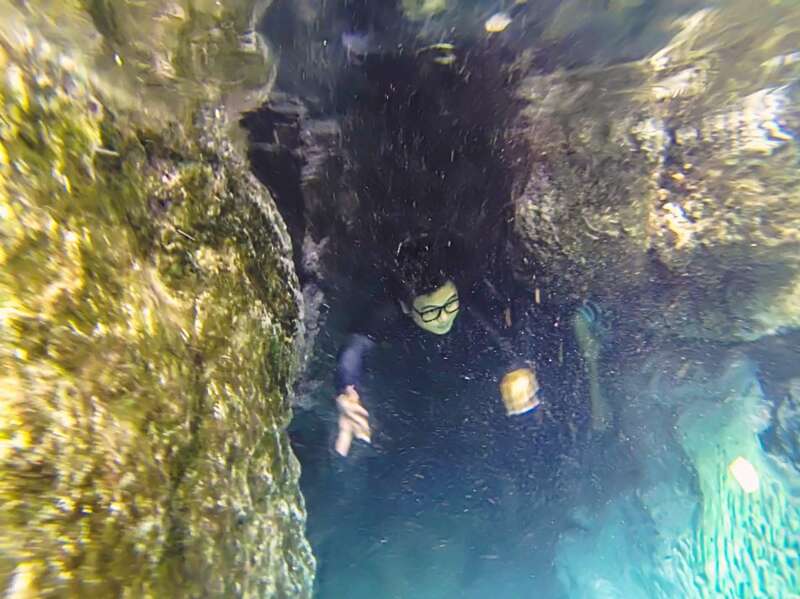 I wanted to hold my breath for thirty minutes to enjoy my underwater adventure into the cave and explore. The rocks everywhere seemed happy to assist me. 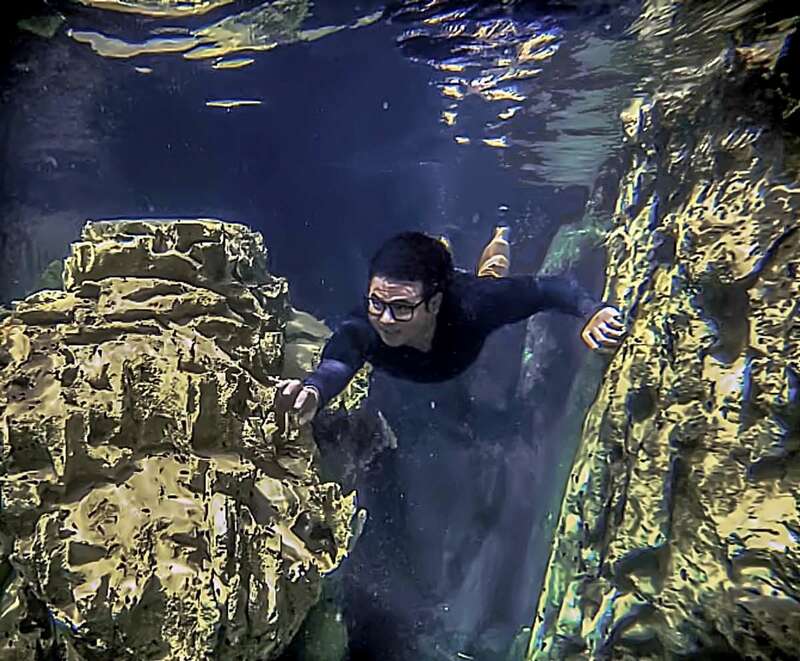 Underwater, I held on to a rock, then to the next rock, to pull me deeper into the cave. But when it was time to gasp for air, I found myself in the heart of the cave with beams of sunlight greeting my eyes. When I looked up, there was an opening on the cave ceiling allowing the sun to take a peek. It was perfect to light the inner part of the cave. There was no need for flashlights because of this. I wanted to stay longer. 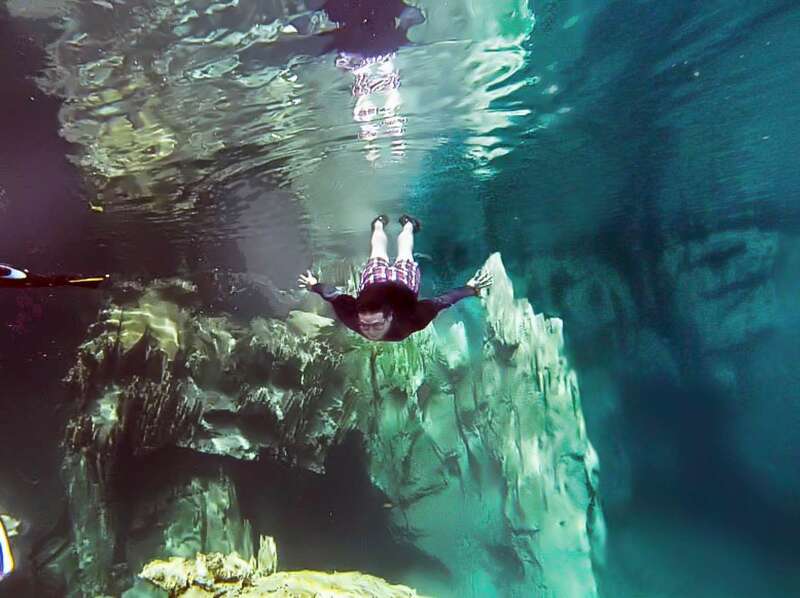 If I could just breathe underwater and cover every inch of the cave and lake. That would be fantastic. But my trip to Kayangan Lake is part of a package and I had to continue with the island hopping tour. I think I spent about three hours here. Next time I go back to Coron, I’d like to stay here a bit longer, say, six hours. From all the lakes I’ve explored all over the Philippines, I could say Kayangan’s my top pick. 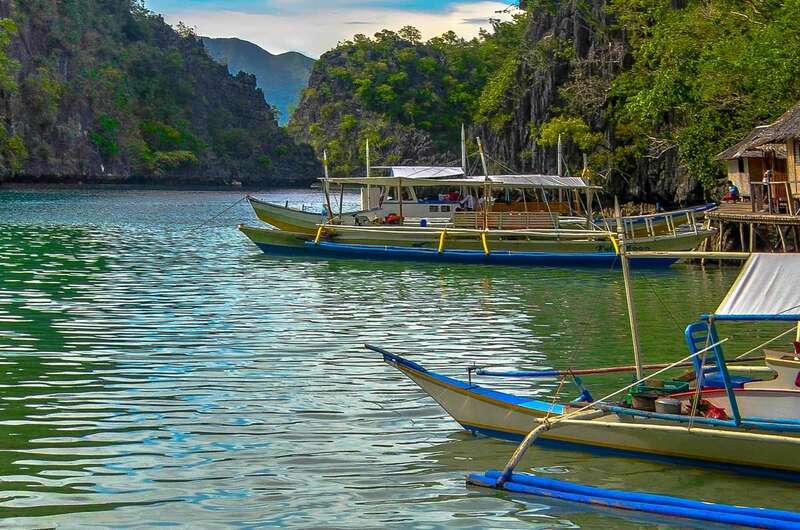 When you arrive in Busuanga Airport in Coron, Palawan, you can find a lot of brochures offering island hopping packages. The hotels also offer this, if not, they can refer you to those who do. 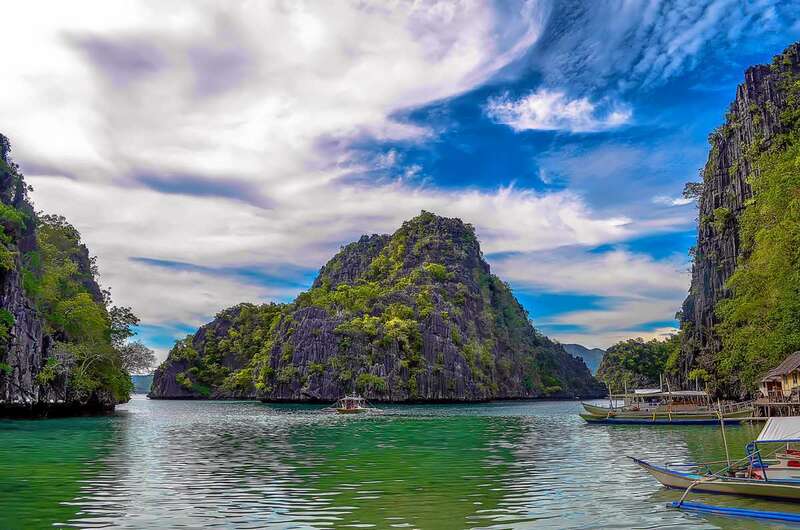 A very affordable island hopping package offers the 6-in-one tour where you can select six destinations, plus lunch, for only Php650+. Make sure Kayangan is part of the tour.